5 Bdrm Dwellhouse converted Threshing Mill (suitable for B & B purposes). Ground flr: Hall. Lounge. Dining kitch. Utility rm. Dining area. 2 Bdrms both with en-suites. 1st flr: Bdrm suite incorporating sitting rm/Office, dressing rm and en-suite. 2 Bdrms both with en-suites. Outbuildings. Price around £465,000 Entry by arr. Viewing Mr & Mrs Robertson 013398 85355 or contact solicitors. (EPC band - B). 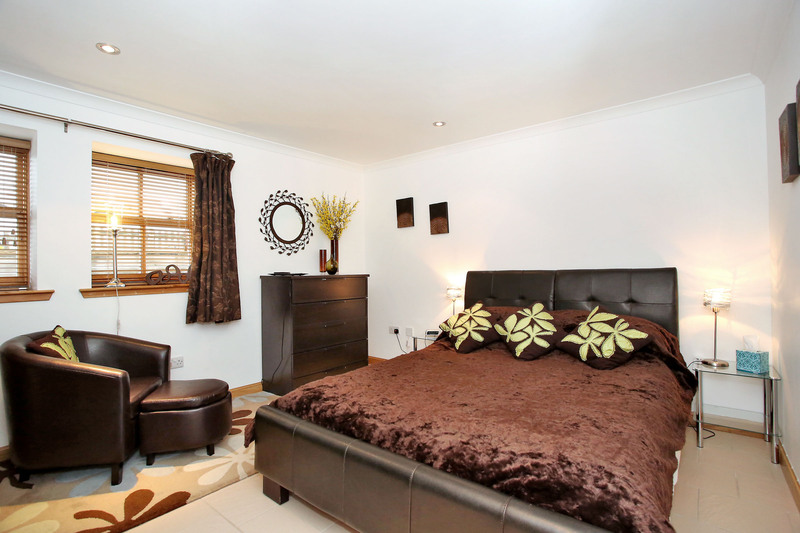 With spacious and immaculately presented family living accommodation throughout, Heugh Head Mill includes five superb double bedrooms, all which benefit from En Suite facilities, making the property an ideal proposition for a bed and breakfast business. 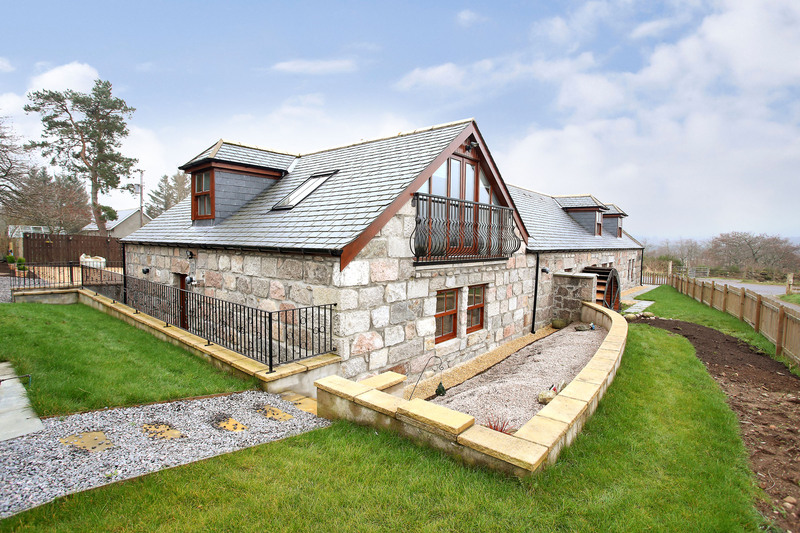 Nestled in beautiful Royal Deeside approximately 1.5 miles from the centre of Aboyne and only 30 minutes drive from Westhill, Heugh-Head Mill was built in the late 19th century as a threshing mill for Heugh-Head Farm. 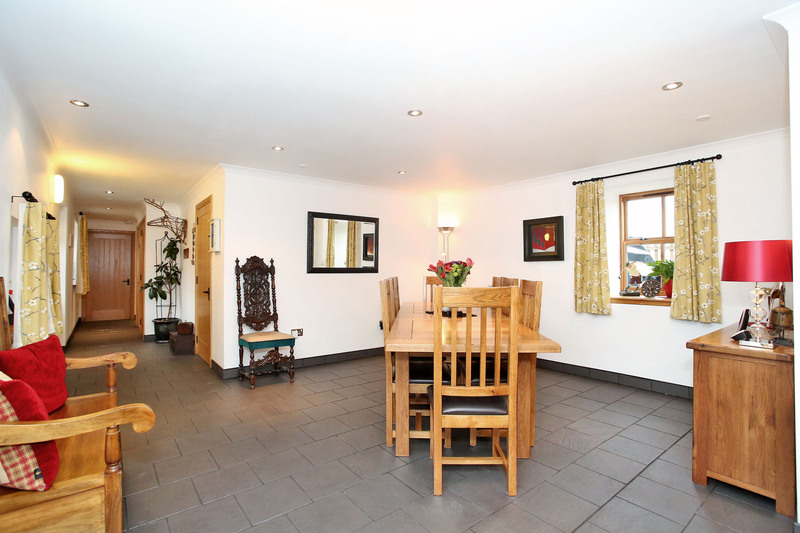 This well designed steading is located only two miles from the Cairngorm National Park. Beautifully converted by the current owners, the original wheel has been preserved as a feature within the garden grounds. Fitted with redwood windows and external doors, and with oak internal doors, skirtings, facings, staircases and balustrades, the property is presented with contemporary neutral décor and inset downlights throughout. Well insulated to the highest standard using Kingspan Insulation between all roof trusses and outer walls, the majority of interior walls along with all downstairs ceilings are lined with glass wool. All plumbing and heating pipes are also fully insulated while the property is fitted with quality double glazing and modern, efficient boiler. The property is rated B on the Energy Performance certificate which takes into account both energy efficiency and fuel costs, ensuring heating costs are kept to a minimum. A central vacuum system has been installed along with a sound system piping music to the lounge, hall, dining kitchen and master bedroom suite. On the ground floor, the accommodation is tiled with underfloor oil fired heating, while on the upper level there is a mix of tiled and engineered oak flooring with traditional style oil fired radiators. On entering Heugh-Head Mill, the hallway first gives access to the lounge, and thereafter Bedroom Three, after which the hall opens out into the dining room. From the dining room there is then access to Bedroom Four and adjoining en-suite, with the ground floor accommodation being completed by the Dining Kitchen and utility room. Also on the ground floor there are three built in cupboards housing a large hot water tank, the heating controls, electric meter, fuse box, fire alarm and linen. The lounge is a warm and welcoming room, which offers dual aspect deep silled windows, while also being fitted with wooden venetian blinds and an understair cupboard. 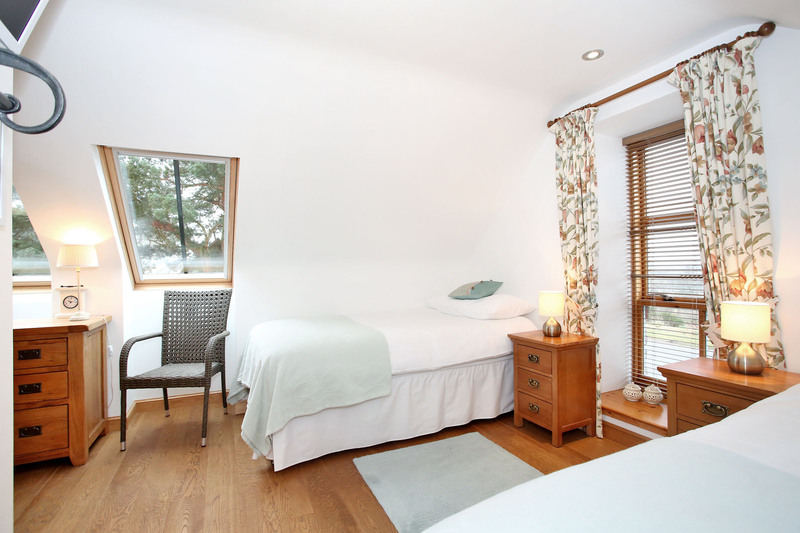 Double Bedroom Three features a wall mounted television and two deep silled windows which are fitted with wooden venetian blinds and provide views of the surrounding countryside. 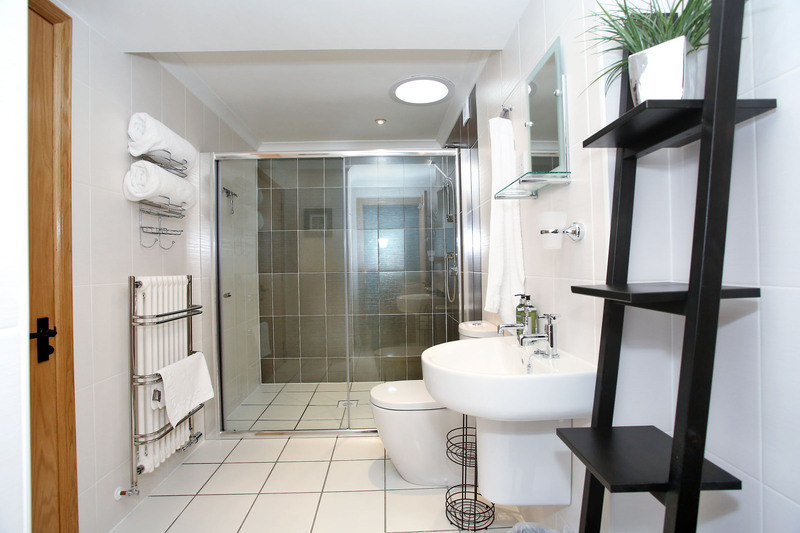 With ample space for free standing bedroom furniture, the En-Suite shower room is fully tiled and fitted with modern white sanitary wear including WC, wall mounted wash hand basin and corner shower cubicle. 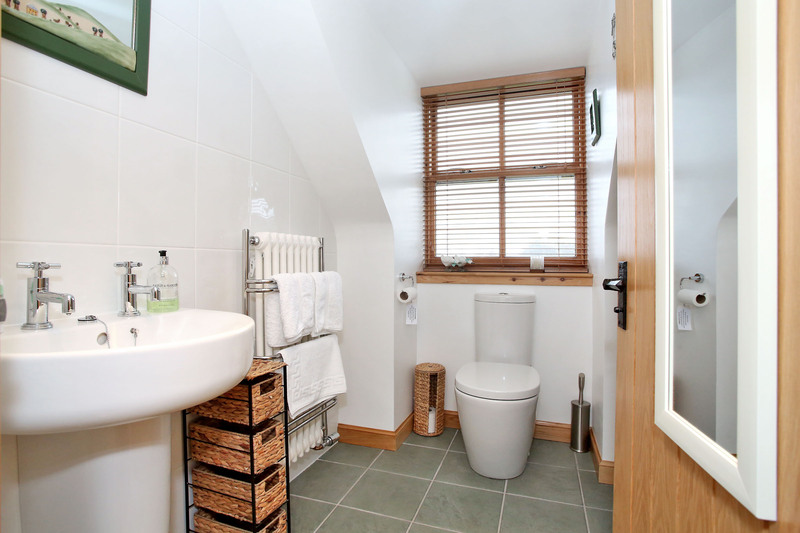 Further features include a traditional style towel rail radiator and deep silled window fitted with wooden venetian blinds. Continuing past Bedroom Three, a superb open plan area is currently utilised as a dining room but would also be ideal as a sitting/family room. 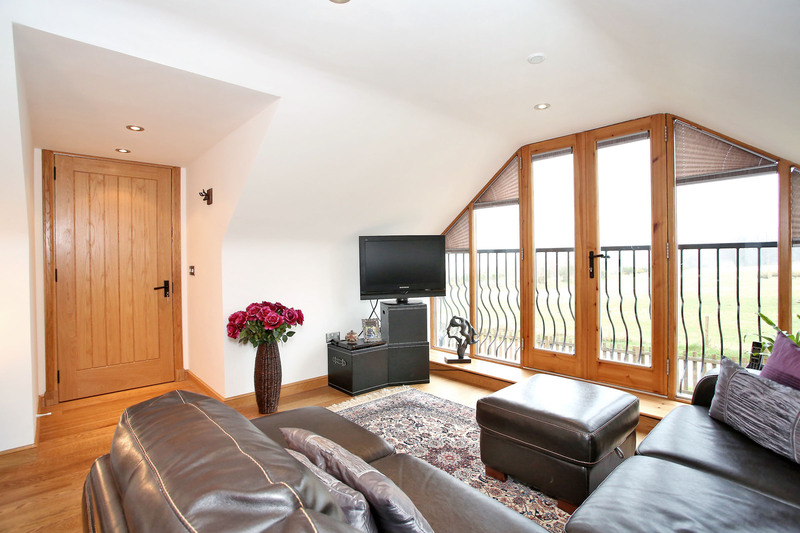 A bright and spacious living space with deep silled dual aspect windows fitted with wooden venetian blinds, there is a glazed wall overlooking the front of the property and a feature low level window to the rear which has been cleverly placed in order to view the water wheel. From the dining room, an inner hallway provides access to double Bedroom Four, which features two deep silled windows with wooden venetian blinds. 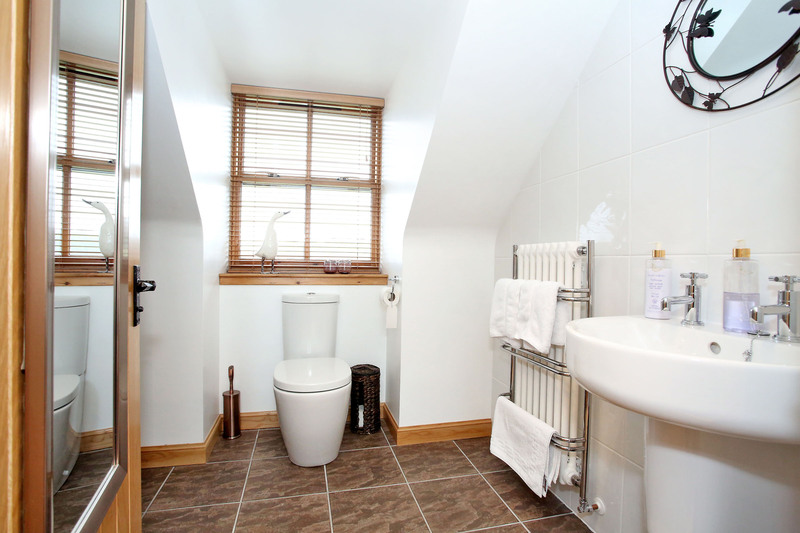 An adjoining fully tiled shower room is also accessible from the hall and offers a double shower cubicle with disabled access, WC, wall mounted wash hand basin and traditional style towel rail radiator. Through oak, partially glazed double doors the ground floor accommodation continues into the large dining kitchen. Of stunning design, the kitchen truly is the “hub” of this contemporary home, and has been well fitted with a range of modern wall, base, drawer and glass fronted units, with co-ordinating oak work surfaces and tiling to splashbacks, With integral dishwasher, fridge and freezer, the kitchen is also fitted with a “Rangemaster” range with two ovens, warming drawer, grill, five plates & warming plate with large extractor canopy above. 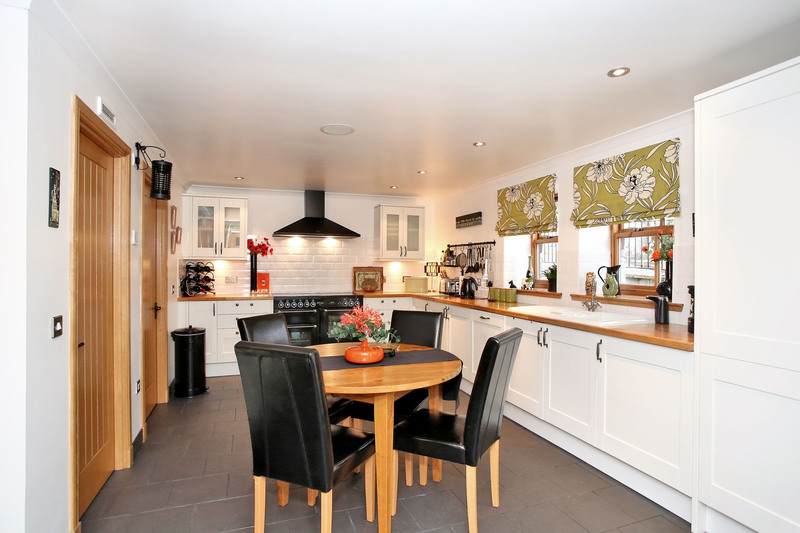 A 1.5 ceramic sink and drainer unit with mixer tap is located to the front of two deep silled windows which are fitted with roman blinds and overlook the garden. A further notable feature in this delightful kitchen is a large walk-in, shelved, pantry, fitted with power and light and offering a superb storage area. With ample space for a 6-8 seater dining table and chairs, the kitchen also offers access to the garden via double glazed French doors with glazed side panels, which allows for superb hilltop views to the south. A useful utility room is accessible from the kitchen and is fitted with a Hotpoint washing machine and tumble drier and a floor standing central heating boiler. With oak work surfaces and a 1.5 ceramic sink and drainer unit, the utility room houses the control for the integral vacuum cleaner system. With wall tiles to dado height level, the utility room also allows access to the garden. Next to the lounge, an oak staircase leads upstairs to the living accommodation in the south wing. 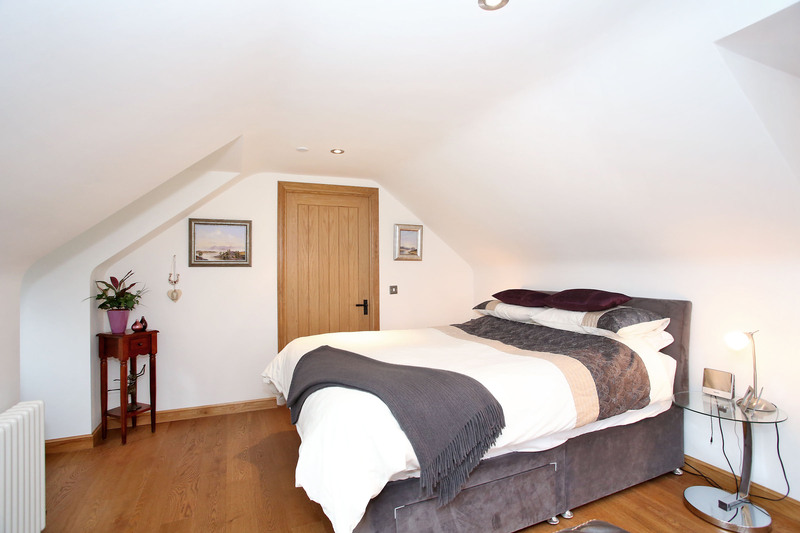 Double Bedrooms One and Two are of spacious proportions, with engineered oak flooring, traditional style oil fired radiators, wall mounted televisions and Velux windows fitted with blinds. 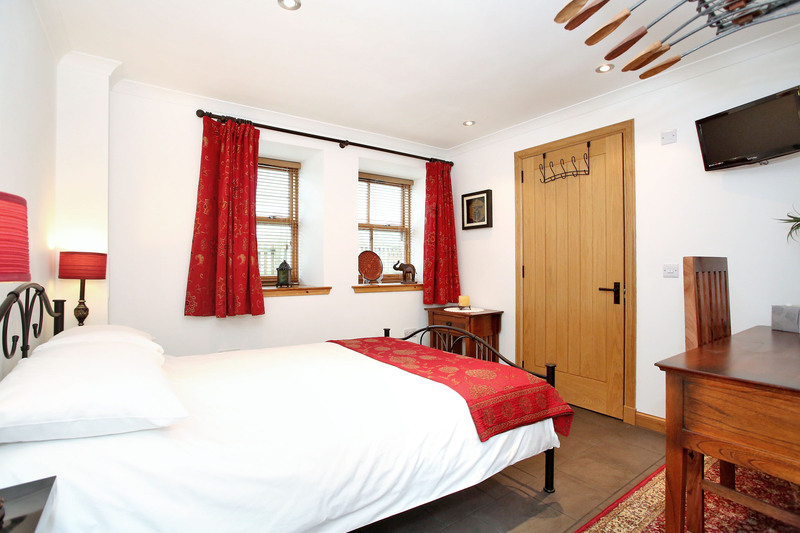 Bedroom One also features a tall window which overlooks the River Dee towards the Glen Tanar Estate. 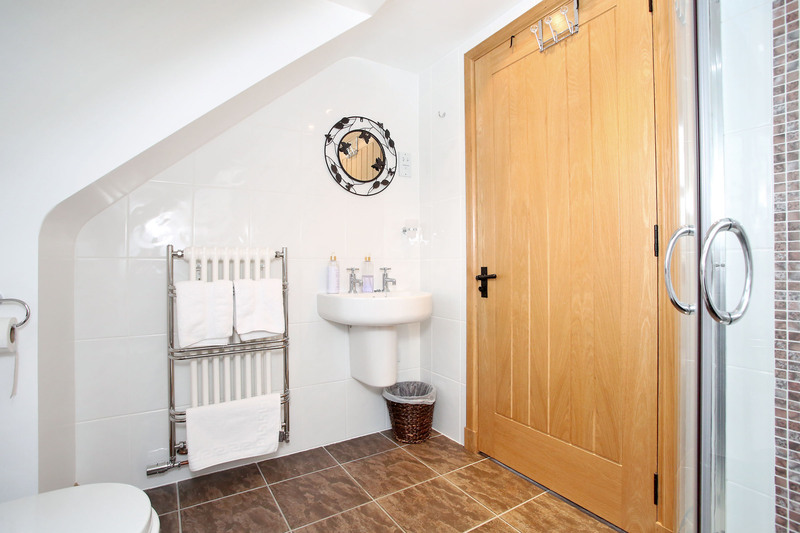 Both bedrooms boast En Suite shower rooms which are fully tiled and fitted with modern white suites comprising of WC, wall mounted wash hand basin, shower cubicle and traditional style towel rail radiators along with Dormer windows fitted with wooden venetian blinds. A secondary oak staircase leads from the dining area to the North wing, where the magnificent Master Bedroom suite is located. Offering a large bedroom, study/sitting room/nursery, dressing room and bathroom, the suite would also be perfect as a granny/nanny flat if so desired. The generously proportioned Master Bedroom also offers a sitting area with French doors & glazed side panels which are fitted with Thomas Sanderson sectional pleated blinds, while a “Juliet” balcony provides views over the surrounding countryside. The versatile home office/nursery is accessible from the Master Bedroom and compliments the Master Bedroom suite with engineered oak flooring and traditional style radiators in both rooms. The dressing room offers free standing hanging rails and is fitted with a Velux window, blind and traditional style radiator. 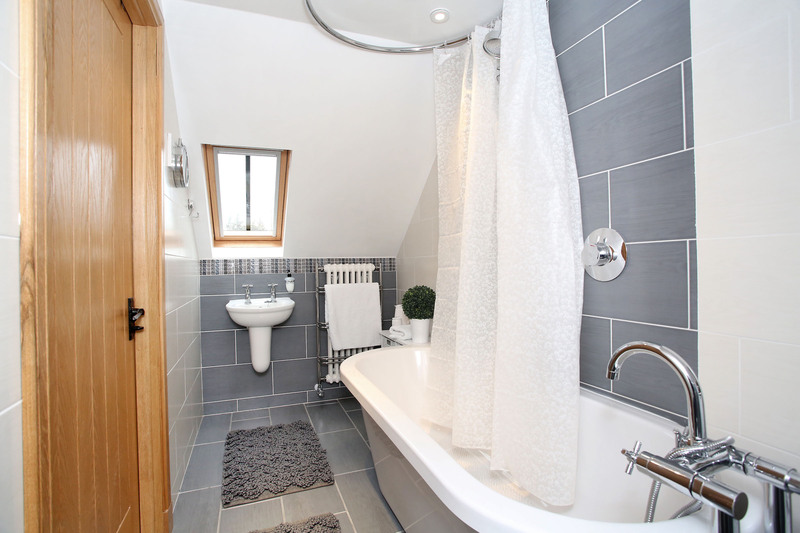 Completing the suite, the fully tiled bathroom is fitted with modern white sanitary ware which includes an oval bath with shower, circular rail & shower curtain over, a wall mounted wash hand basin and WC. There is also a Velux window and blind and traditional style towel rail radiator. 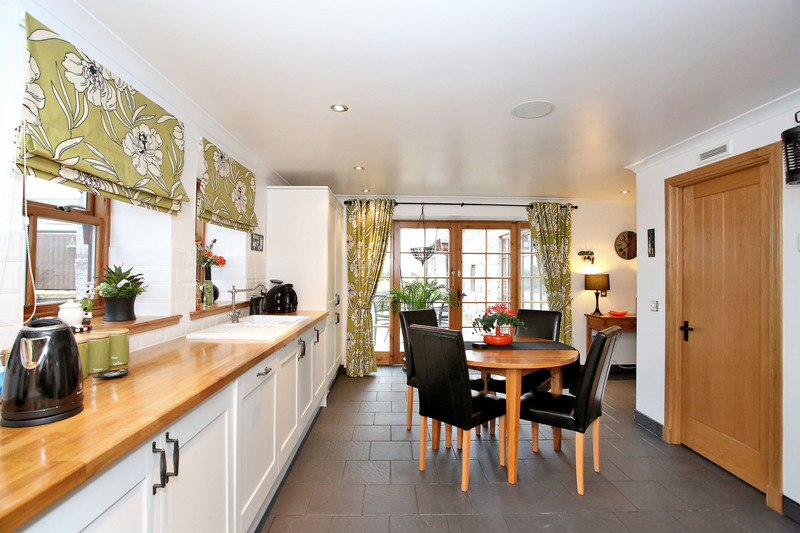 Externally, the property sits within well maintained grounds of approximately half an acre. 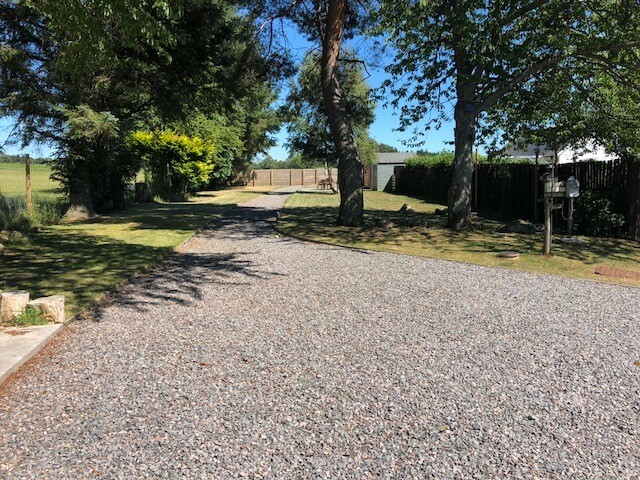 A gated entry leads into a large gravel driveway which is fitted with lighting and provides ample parking for several vehicles. 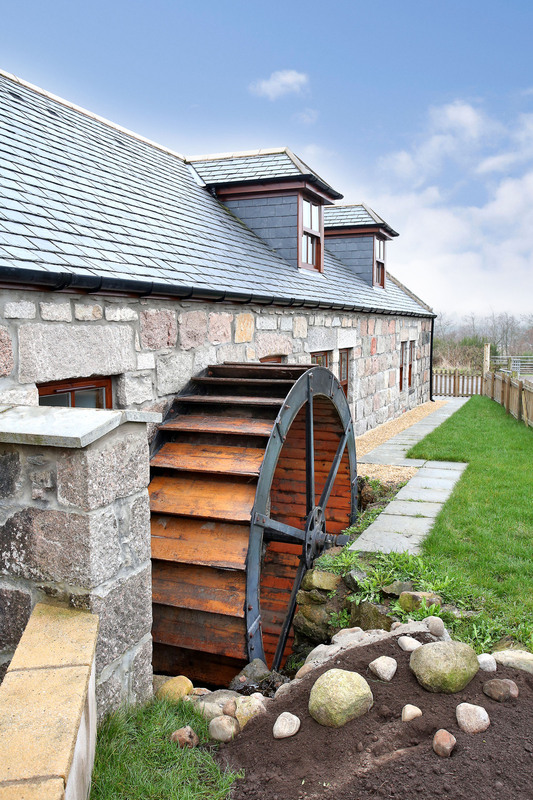 To the front of the property, raised beds are well stocked with low growing shrubs, while a paved path leads around the property and to the original and refurbished water wheel, which is now a delightful feature within the garden. 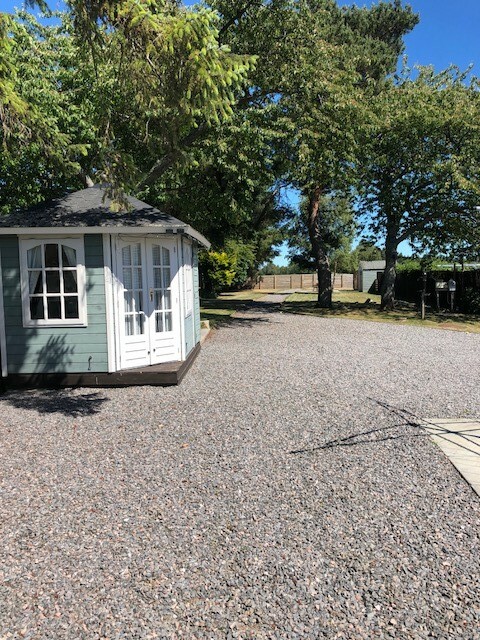 To the rear of the property, a further area of garden ground houses a drying area, oil tank and a summer house, which is currently used as a gym. 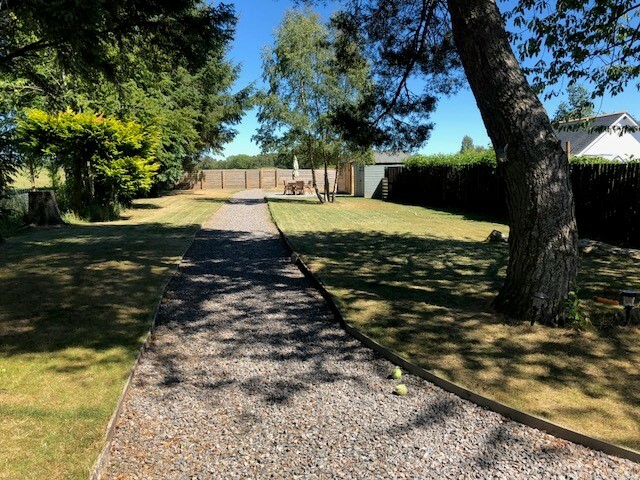 A gravel path leads to a walkway through a country garden, which is planted with mature trees and also houses a garden shed and workshop with double doors. All three outbuildings will be included with the sale price. 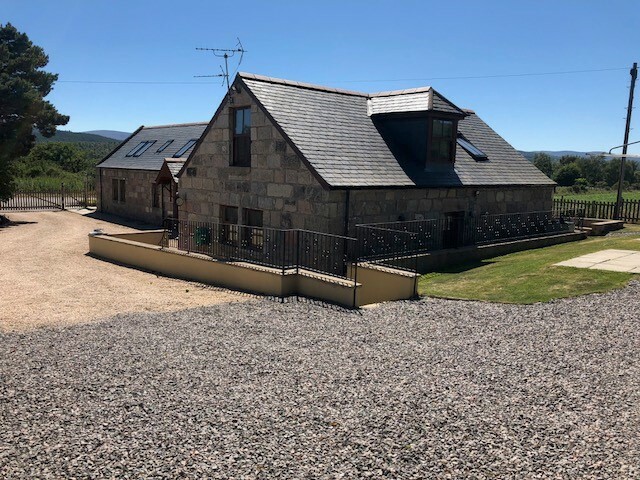 Viewing of this fabulous family dwellinghouse is highly recommended in order to truly appreciate the spacious, versatile and beautifully presented living accommodation. Depending on the desires of the purchaser, the opportunity to purchase a further half acre of neighbouring land may also be available by separate negotiation. 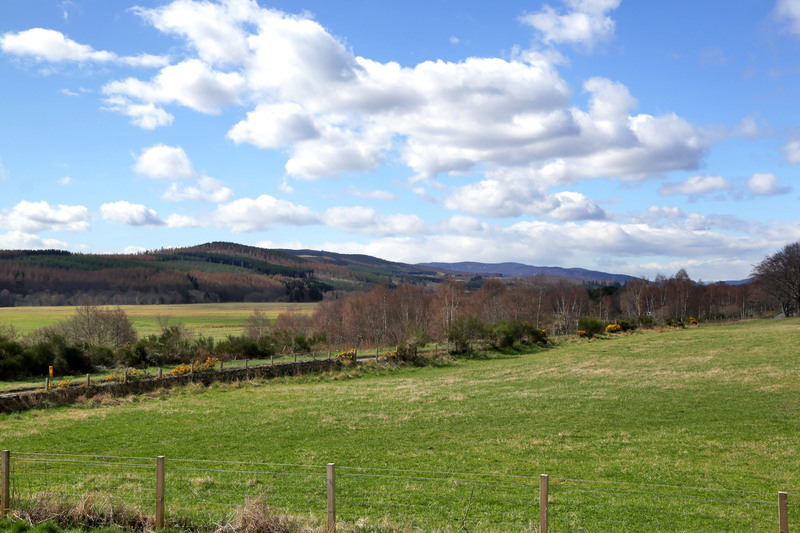 Aboyne is an attractive village situated approximately 30 miles from Aberdeen. At the heart of the village is the Village Green which is the site of the famous Aboyne Highland games which are held in August each year. The village is well served by many amenities which include Primary and Secondary Schooling, a Community/Sports centre with swimming pool, an excellent 18 hole golf course, a wide selection of shops and several hotels and restaurants. There are a number of outdoor pursuits available locally which include the Aberdeen Water Ski Club which is situated at Aboyne Loch. 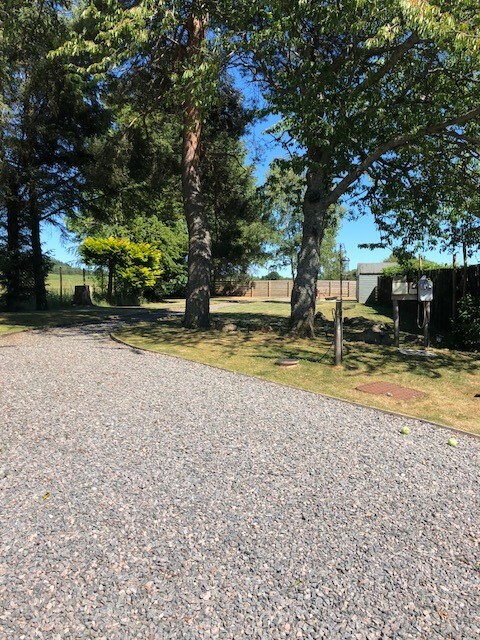 The beautiful surrounding countryside of Royal Deeside is abundant with leisure facilities such as golf, fishing, horse riding and the Glen Tanar Country Park provides excellent walks. 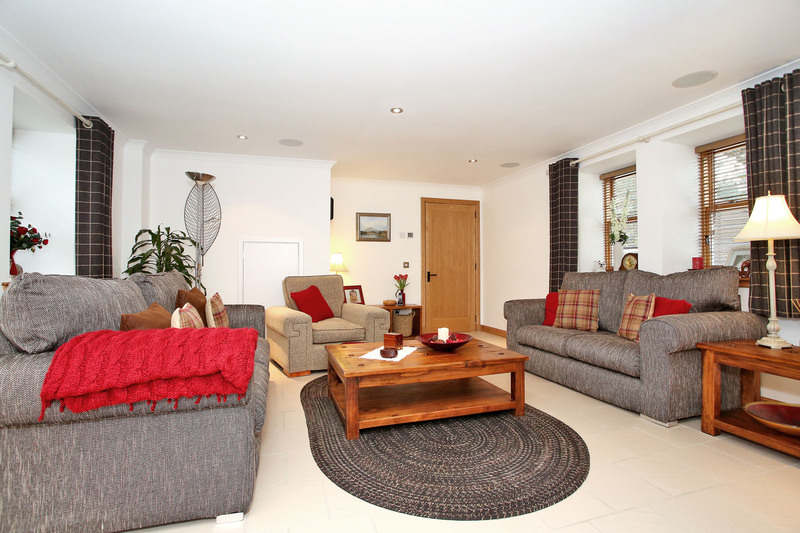 During the winter months skiing at Glenshee and the Lecht are within easy reach. Famous for its scenic beauty, Deeside offers unrivalled opportunities for sporting enthusiasts. 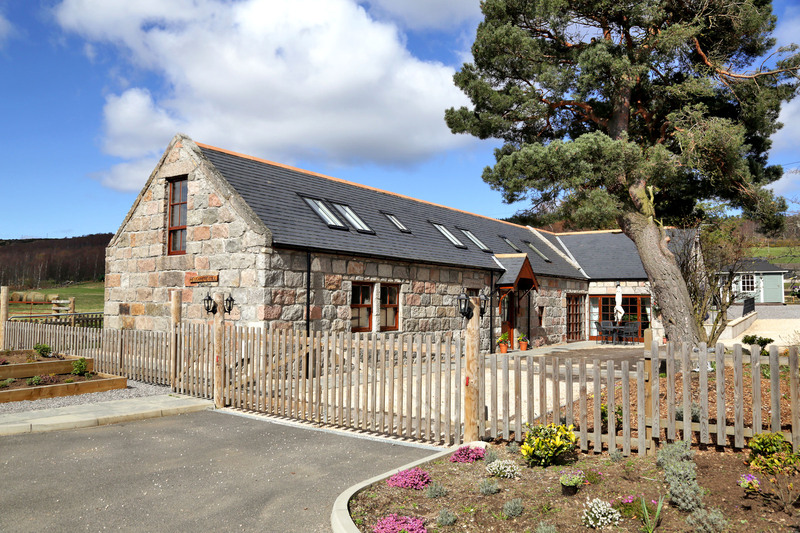 The village is an easy "commute" to the city of Aberdeen, Aberdeen airport and Aberdeen’s rail and bus stations. Ground Floor: Lounge, Dining Kitchen, Utility Room, Two Double Bedrooms each with En-Suite Shower Rooms and Dining Area. First Floor (North Wing): Master Bedroom Suite incorporating Bedroom/Sitting Room, Home Office, Dressing Room and En-suite Bathroom. 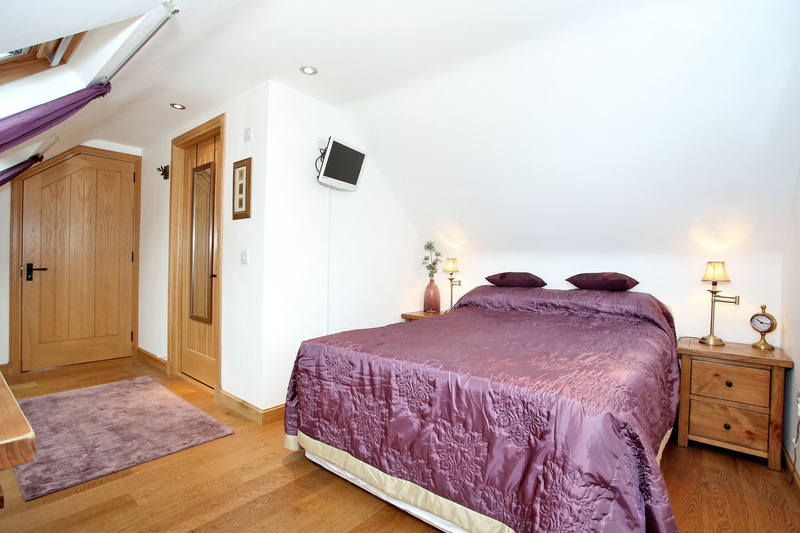 First Floor (South Wing): Two Double bedrooms each with En-suite Shower Rooms. Directions Following the A93 North Deeside Road towards Aboyne, continue through the village on Ballater Road, passing the Village Green and local schools on the left hand side. 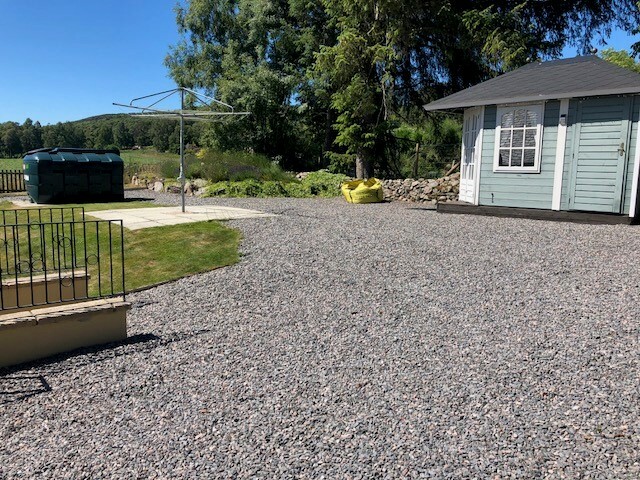 On leaving Aboyne, the property is located a short distance ahead on the right hand side as is clearly indicated by our Laurie & Co For Sale sign.